Moon Jump, Inc., a top-rated event rental company recently announced the launch of their new website. The site is more vibrant and easier to navigate for a more user-friendly experience. Addison, Illinois – April 16, 2018 — Moon Jump, Inc. is a top-rated event planning rental company that serves residents and business owners in Addison, IL and surrounding areas. Moon Jump, Inc., owners recently announced the launch of their new website. Not only is the site bolder and more vibrant, it is easier to navigate, for a more user-friendly experience. The information and pricing are more clear and easier to find, the pictures have been updated to include vibrant images of current and new rental equipment, and the online communication and booking tools are easier to user, to create a better customer experience. The new site now makes it even easier and more efficient for party planners to access everything they need. The new site has better images of all their rental products, updated pricing, contact information and FAQ’s information, better support services, easy navigation tabs, and a simplified booking system. Their drop-down tabs and sidebar links make it easier to locate and access specific product types and services. The bold, clear images and accurate descriptions let consumers know exactly what they will be getting. The online renting tools help clients manage their spending while holding each item, so they know how much they are spending as they book each product. This makes it much easier to stay within the desired budget. Moon Jump, Inc., is so much more than just an event rental company. They work hard to provide their clients with the best service online and in person. They know their consumers are busy, so they continually strive to provide the highest quality, most professional customer experience. The new website allows Moon Jump, Inc., to provide a higher level of excellence in service to their clientele. Moon Jump, Inc,. started in 1990 with one inflatable bouncer, a car, a client, and a dream. Now, more than 28 years later, the second generation in this family run business maintains the same traditions and values of a party rental business that their father started. Moon Jump Inc., services private and public events in the Chicagoland area. 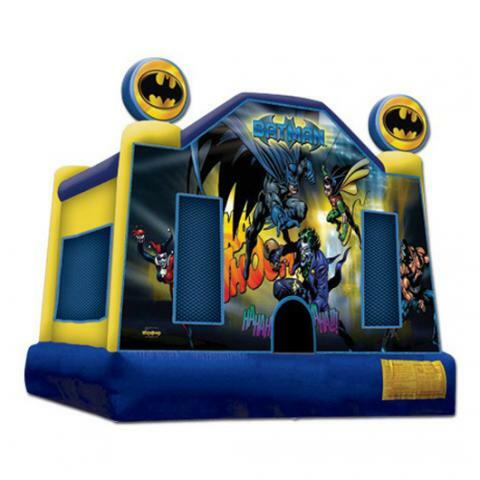 They offer a variety of rental products including bouncers, inflatable interactive and obstacle units, tables, chairs, canopy tents, concession machines, entertainers, product repairs, and other entertainment attractions for large and small events. While the products have changed throughout the last 28 years, one thing has always remained the same; their desire and commitment to providing the highest quality service and products to their clients. Moon Jump, Inc., strives to give their consumers in the Chicagoland area the best and most unforgettable experience at every event.